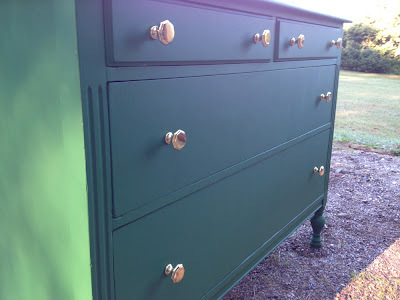 Green and gold 4-drawer dresser. 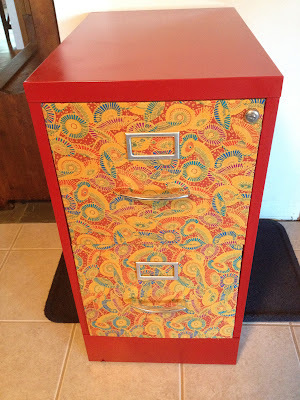 Dark red file cabinet with bold fabric covered drawers. Sunny yellow rolling cart with white screen cabinets. Refreshed white nightstand with gold hardware. 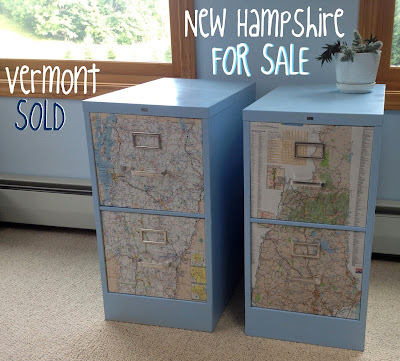 Fancy File Cabinet: Black file cabinet with fabric decoupaged drawers. Fancy File Cabinet: Light blue file cabinet with New Hampshire map decoupaged drawers. 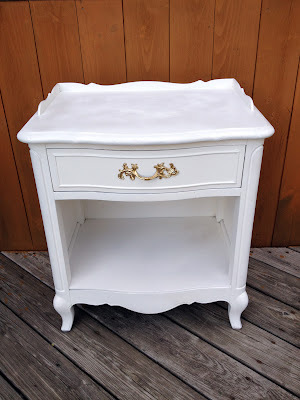 White 6-drawer wood dresser with gold drawer pulls. Bamboo shaped wood trim on edges and hardware. White 4-drawer wood dresser with brushed nickel knobs. 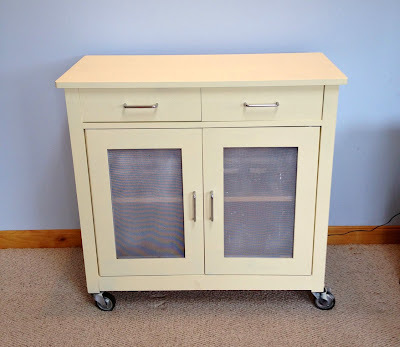 Have you ever upcycled a filing cabinet chest into a dining room sideboard? 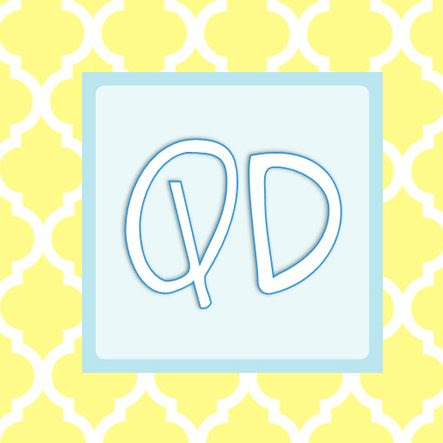 Can you please tell me the brand of the drawer pulls that are bamboo shaped?